Rocco Di Zio, Grazia Fava and Angelo Maggiotto were awarded the Order of Australia Medal (OAM) as part of the 2019 Australia Day honours list, which recognises outstanding and inspirational community members. The 2019 list is the largest in the history of the Order of Australia, recognising 1127 Australians. This year, 19 people were appointed Companions of the Order (AC), the highest achievement possible, 71 people were appointed Officers of the Order (AO), 282 were appointed Members of the Order (AM) and 755 Medals (OAM) were awarded. Former journalist for Il Globo and La Fiamma Rocco Di Zio received the OAM for his service to the Italian community. Di Zio was born in Penne, Pescara, in 1949, and arrived in Australia in January 1959 as an “unassisted immigrant”, joining his family “with the intention of remaining for the maximum duration of a year”. But, as often happens, the dreams and plans made in youth change easily and Di Zio began to think of Australia as his new home. Having decided to live his life here in a more determined way, he entered the world of work. Like many of his contemporaries, a 19-year-old Di Zio arrived from overseas senza arte e senza parte but with a grand passion: journalism. In Italy, Di Zio had the opportunity to work on a historical publication, Il Vittorioso, following his high school years. It was not by any means easy to transform this passion into paid work in Australia. In the early years, he collaborated on numerous newspapers and magazines, moving between Melbourne and Sydney, and alternating between work as a journalist and other jobs, such as vice station master for the Victorian railways. Nineteen sixty-three was an important year for Di Zio, which saw him marry Elsa Bebervanzo, also from Pescara. Their love story continues 56 years on. In the same year, Di Zio entered the newsroom of La Fiamma, the bi-weekly in Sydney, which was at that time in competition with the young Melbourne newspaper, Il Globo, founded in 1959. From then onwards, he accumulated a great deal of experience in the field of journalism, writing not only in his mother-tongue, but also in English, as he collaborated with many significant Australian media outlets, such as The Herald, The Sunday Observer, the early programs for radio SBS, The Catholic Advocate and Australian Soccer Weekly. In 1983, Di Zio joined Il Globo in the role of editor for Victoria. He remained a dedicated and generous part of the editorial team until December 2012, when he was forced to leave his job due to personal reasons. One cannot mention Di Zio without paying tribute to an aspect which rendered him among one of the most known and loved personalities in Melbourne: his commitment and role in the world of Australian football. As a journalist, he closely followed the semi-professional and professional football competitions, as well as conceiving of and developing the newspaper insert Junior Roo, which covered youth soccer. 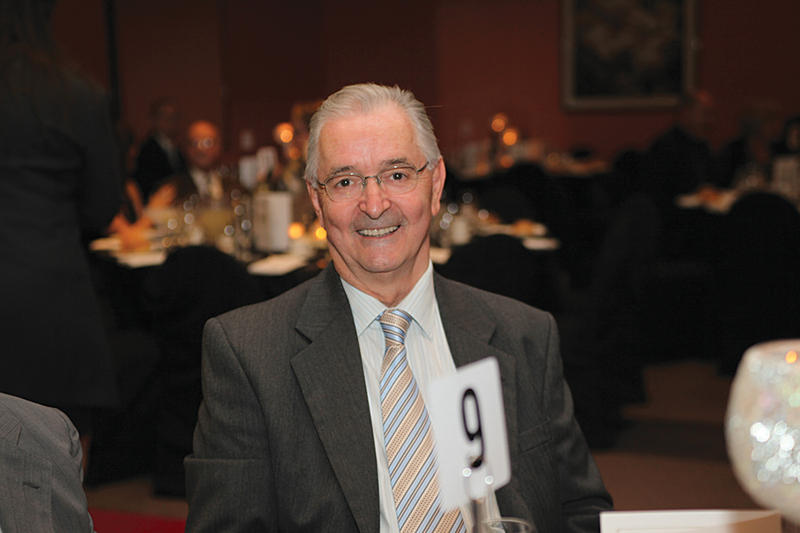 He was also manager of the Italian Football Association of Victoria and of many other clubs and associations. Without wishing to disregard any of the clubs to which he contributed, not just in sports but in the general community, it must be said that his role alongside the “miracle” of Juventus will be forever remembered. Another miracle, this time made in the spirit of solidarity, was that of fundraising for the population of Abruzzo, in occasion of the tragic earthquake which occurred on April 6, 2009. Di Zio distinguished himself by gathering some of the most important figures of the community in support of the project. He is a man who has never held back in dedicating himself to the growth of the Italian community and assisting the needy, and his worth was recognised by Lou Sticca, one of the most important businessmen in the world of Australian football, who said “if ever a man deserved public recognition, it’s Rocco”. “He has helped many immigrants for decades, often at his own expense,” Sticca said. Local community representative and member of the Liverpool Hospital Disability and Carers Committee Grazia Fava was also awarded an OAM for her service to community health. Fava founded the Autism and Advisory Support Service, NSW in 2007 and has been CEO since 2017. Her passion for autism was ignited when searching for services for her two boys, who were both diagnosed with autism and global developmental delay (GDD). She also established autism support groups in a range of languages, a resource library and shop, and a 24-hour autism hotline. Over the years, Fava’s work in community health areas has been recognised through various awards, such as the Women of the West Award, awarded by the University of Western Sydney in 2015, and the Liverpool Citizen of the Year Award for 2011 – 2012. Fava is one of 422 women who received awards in the 2019 Honours list. At 37.4 per cent, it’s the highest number and percentage received by women ever. Another medal winner from the Italian community was Angelo Maggiotto, for his service to the community through charitable organisations. Maggiotto arrived in Sydney from Castelfranco, in Veneto, in 1957. He joined his brother, who had been in Australia since 1954. In Sydney, he continued to work in building and construction as he had in Italy, but over the years became involved with diverse charity organisations and fundraising campaigns. The current owner of Maggiotto Building Pty Ltd, he is also Ambassador for the Father Atanasio Gonelli Charitable Fund, and a member of Maria SS delle Grazie Association and San Vittorio Martire Association. Maggiotto has been involved in fundraising for the Cerebral Palsy Alliance, and has designed and built two orphanages in Banda Aceh, Indonesia. Multicultural NSW Advisory Board Member and Chairman of the Father Atanasio Gonelli Charitable Fund Felice Montrone OAM described Angelo Maggiotto as “giving a lot to the community” and “very generous”. In an interview with SBS Radio, Maggiotto thanked everyone who has worked alongside him and helped him in his efforts, saying the award “is not just for me, but for everyone who helped me”. “It was a big surprise [to receive the award],” Maggiotto said. “There are people in the world who are needier than me. [Rocco Di Zio] has helped many immigrants for decades, often at his own expense. Everything I have done, I have done it from the heart.